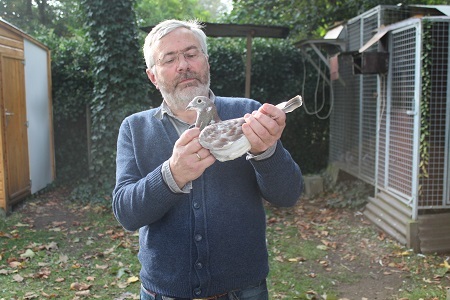 Dirk Van den Bulck has won an impressive number of championship and ace pigeon titles in recent seasons, and not only in his own loft. 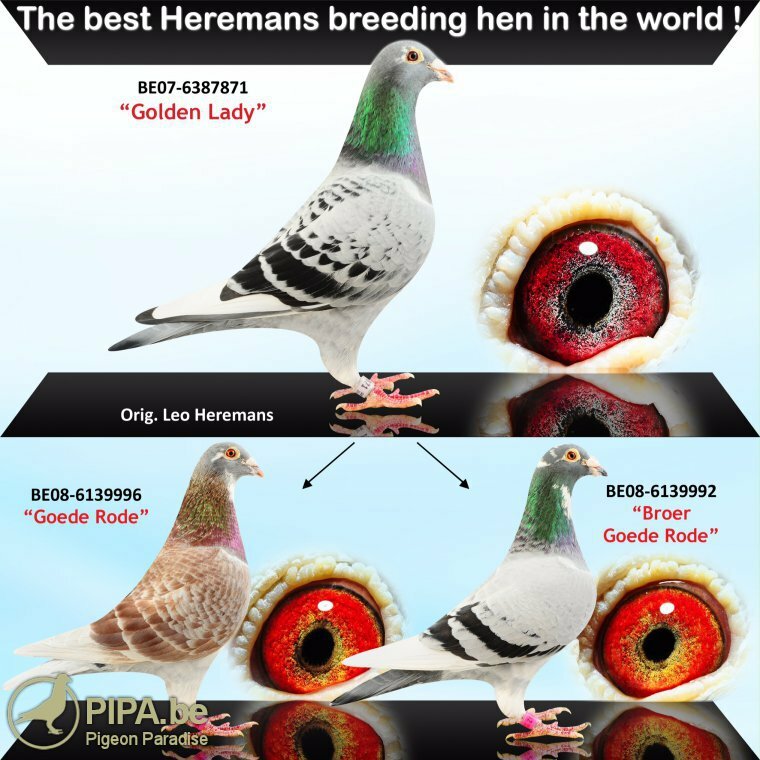 Other fanciers from all over the world have benefited from the exceptional speed of the Van den Bulck pigeon breed as well. 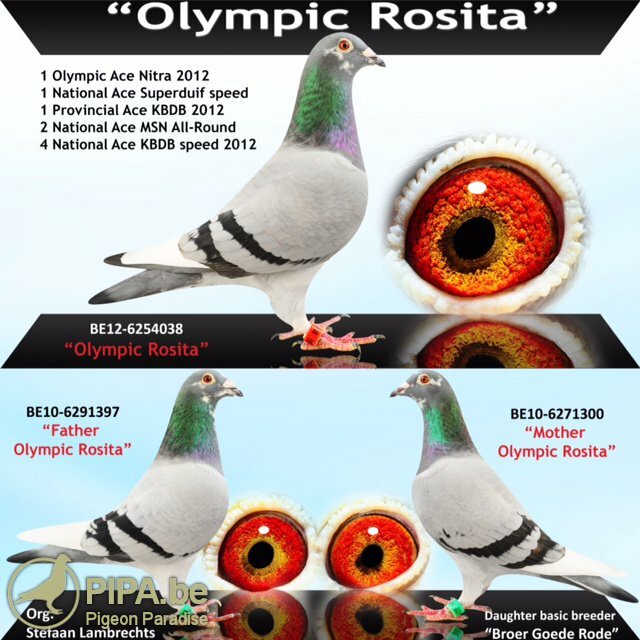 The pigeon family of Dirk Van den Bulck gained international recognition in 2012, the year when his top class hen Olympic Rosita BE12-6254038 took the title of first Olympiad Pigeon Cat. F in Nitra 2013. 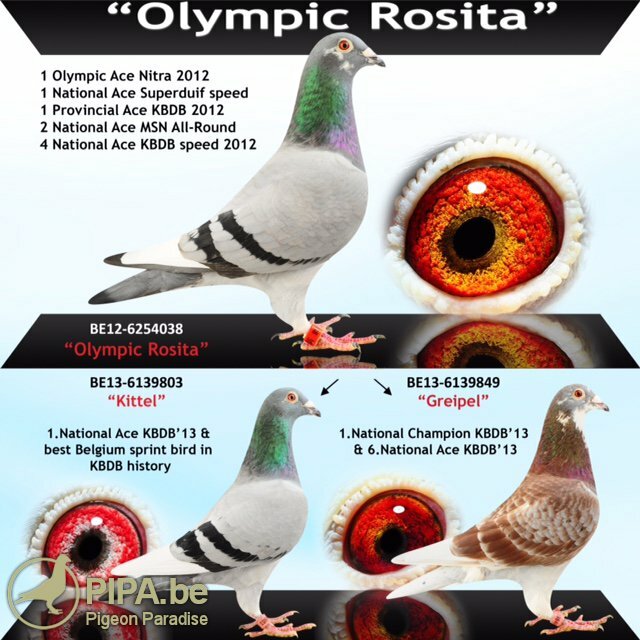 Olympic Rosita continued to impress by breeding two world class brothers: Kittel, BE13-6139803 and Greipel BE13-6139849, which finished in 1st and 6th place respectively in the national ace pigeon championship KBDB sprint 2013. Greipel, Super Sprint 873 BE13-6139873, and a full brother of the grandmother of Greipel and Kittel have also managed to win the title of first national champion sprint KBDB 2013. This is quite a palmares for this bloodline. Dirk Van den Bulck faces steep competition from such champions as Stickers-Donckers, Staf Boeckmans, Patrick Boeckx, Johan Donckers, Jos Cools, Jef Luyten and Leo Heremans in the impressive Tienverbond union. He always baskets a very small team of pigeons, which is remarkably based on three super class bloodlines. 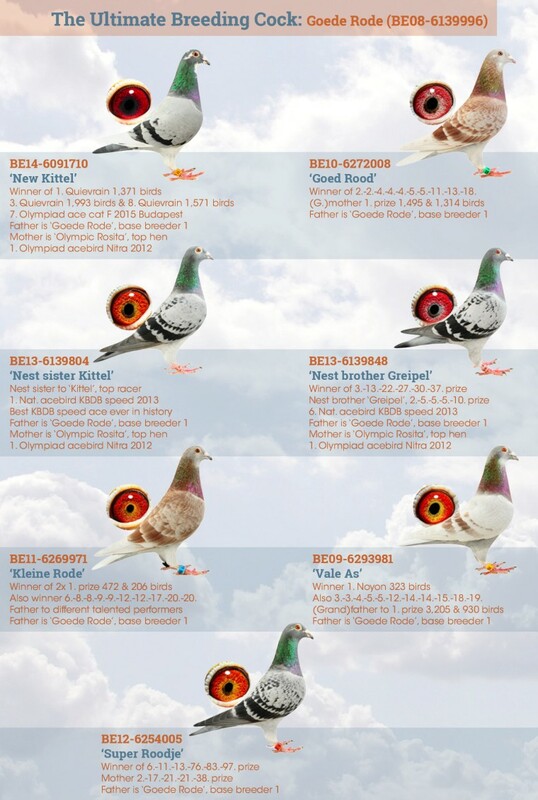 This is without doubt a wonderfully composed pigeon breed consisting of nothing but champions that were carefully bred from the same bloodlines, with few outside breeds involved. 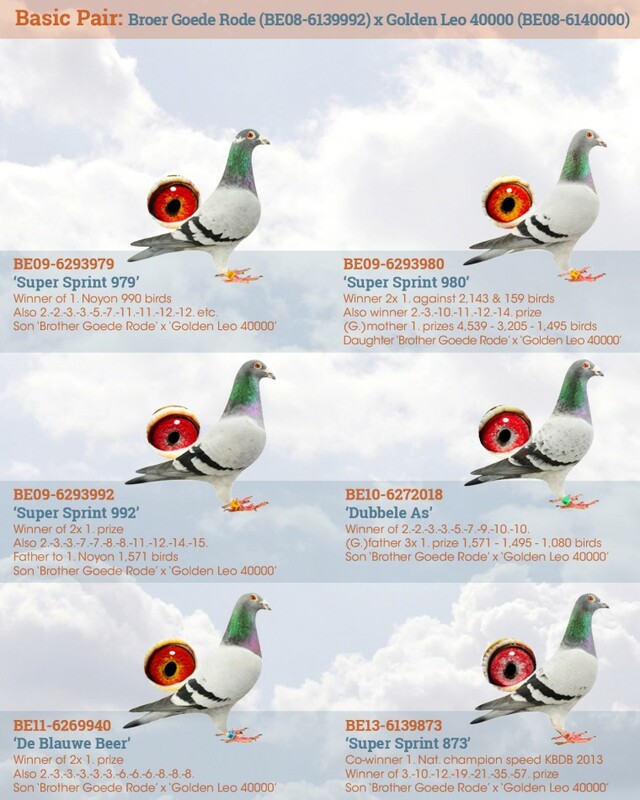 The value of this pigeon family is demonstrated by the excellent results of the Van den Bulck pigeons in other lofts as well. 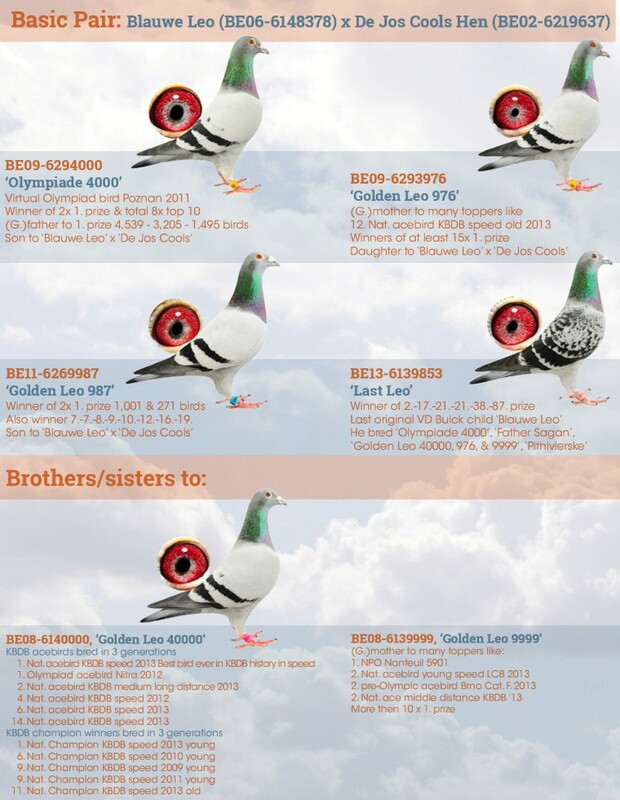 We think it is fair to say that Dirk Van den Bulck has possibly one of the fastest pigeon families of their generation. They perform really well both in their home loft and for other fanciers, which highlights the intrinsic value of this breed.